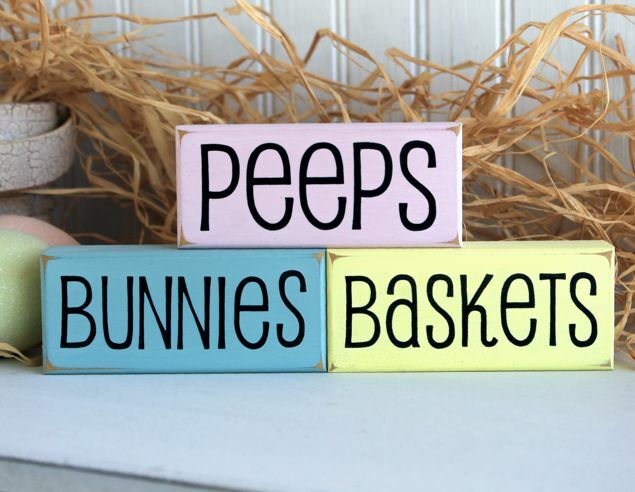 Sweet set of mini Easter blocks in pink, yellow and seafoam. Sanded slightly for a worn, finished look. 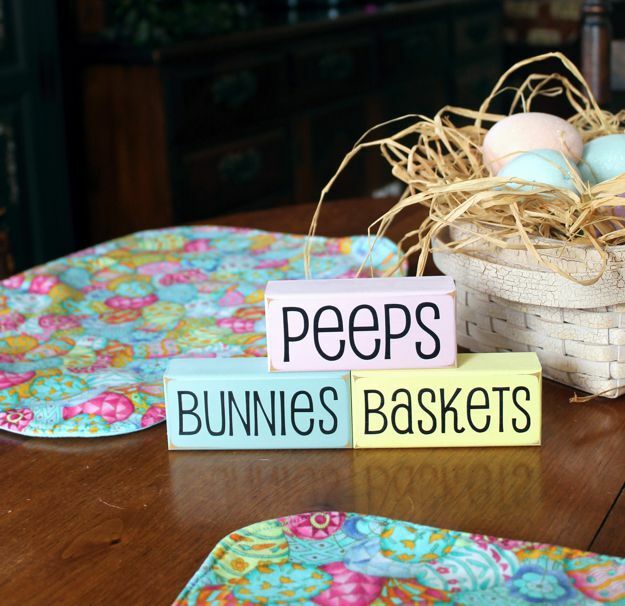 Tuck on a shelf or display on a table for some spring time color. Each block measure 1.75x4 inches.